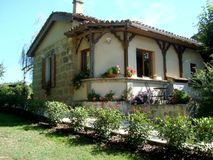 Described as ‘a slice of paradise’ by one delighted guest, Gites de Sevenne is a pretty pair of cottages for families to unwind, just 20 minutes off the beaten track from the tourist honeypots of the Dordogne. 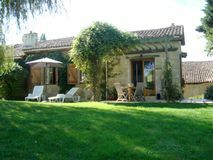 It took owners Sandie and Mark five years to find the perfect French property to be their home and business with no compromises, but in 2011 the couple fell in love at first sight with seductive ‘Sevenne’. 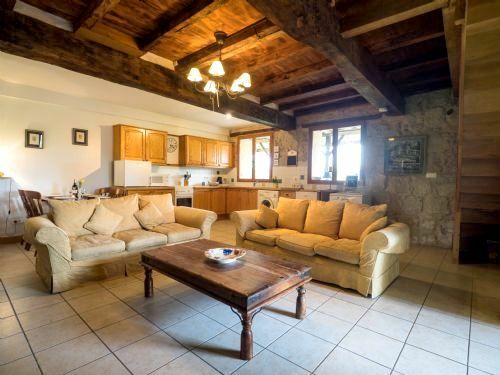 With Mark an ex hotelier and Sandie a former NNEB nursery nurse, the couple make the perfect Baby-Friendly Boltholes partnership, besides having the personal experiences of many happy years holidaying in France with their now grown up sons. 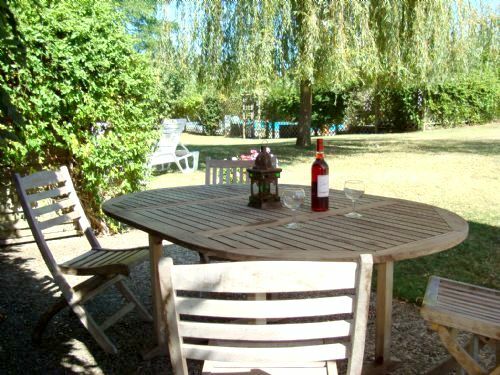 To begin with the location is perfect for relaxing, just nicely secluded and surrounded by fields but close to amenities and holiday attractions. 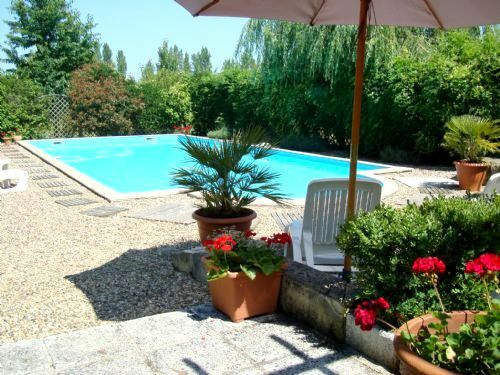 The setting of the gites is pretty special too, with 4-acres of gardens for children to burn off hyperactivity while parents chill out by the 12x6 metre fenced pool, under shady willows or with a fine Bergerac on the gites’ patios. Outdoor amusements include a football area, badminton and volleyball nets, swings, play house, ride-ons and a covered games area, plus guests can pick grapes from the vines in summer and youngsters will have fun helping the owners hunt for fresh eggs from the free roaming hens and ducks. Silk painting workshops for all ages are an added bonus and frazzled parents can enjoy a welcome break thanks to the ‘Duckling Club’ activity morning, available once a week by arrangement. The two gites, Duck Cottage (sleeps 4) and Drake Cottage (sleeps 6), have been attractively created from traditional stone farm buildings to offer comfortable family accommodation, with all mod cons and the character of rustic original features. Both cottages have their own patios with outdoor furniture, BBQ’s and views over the gardens, while inside they each have a wood burning stove, well equipped kitchens and helpful baby equipment, MP3 docks, UK TV, games, books, DVD players and a selection of DVDs. The two cottages also adjoin each other, making Duck and Drake ideal for extended families to enjoy holidays together with everyone having space to themselves. 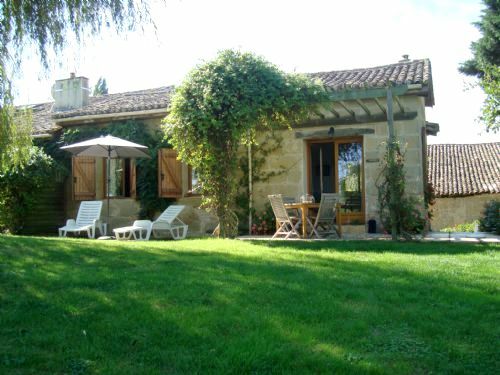 Duck is a semi-detached (adjoins to Drake which sleeps 6) pretty, single storey, stone gite with two bedrooms comprising a double room with queen size bed and a twin bedroom. The bedrooms share a shower room (baby bath available) with power shower, sink and WC.There is a large open plan kitchen/dining/living area with a cosy wood burning stove. the kitchen comes with cooker, microwave, fridge, freezer, washing machine, kettle, toaster, cafetiere and cooking utensils and equipment. 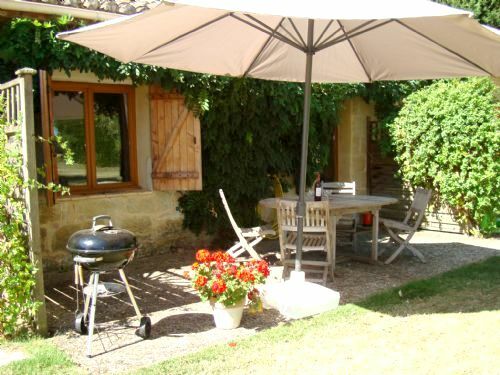 The cottage boasts a private patio overlooking the rear gardens and pool with garden furniture and BBQ. There are shutters on ground floor bedroom windows to block light, blinds on upper bedroom windows and electric fans provided in summer. sleeps 4 in a single storey 2-bedroom gite with 1 x double bedroom, 1 x twin bedroom a shower room with power shower, vanity unit & WC. Plus lounge/diner and fully equipped kitchen. There's a private terrace to the rear. The white sand-fringed lake at nearby Lougratte with its children's play area, slides, paddles and lifeguards, as well as the river beach at Castelmoron, both around 15-20mins drive away, are great for family-friendly 'beach' days. Secure 12x6m swimming pool and sun deck. Baby sitting is available by arrangement with owner (NNEB Nursery Nurse) Also Duckling Club to include an activity morning once a week by arrangement. A cot, highchair, baby bath, baby monitor, potty, stairgates, plastic crockery, plastic cutlery & sippy cups, hand blender. Indoor toys provided include: bath toys, childrens books, general toys including Duplo and U-rated kids DVDs. The owners offer a pre-arrival shopping service, meals and picnic service on request. There are a good selection of outdoor toys including: ride-ons, trikes, swings, play house, 5 aside foot ball goal, + table tennis, snooker table, Badminton and volley ball nets for older children / adults. 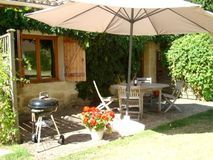 There is a communal covered play area and Duck Cottage has its own private terrace with loungers and dining furniture. 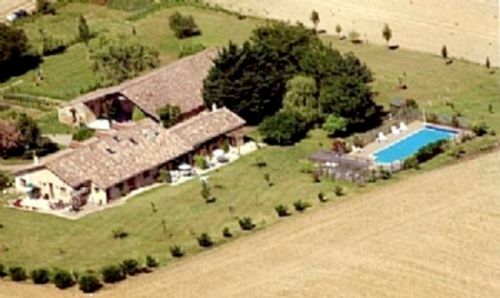 The 4 acre garden is secluded, surrounded by fields on all sides and there is no passing traffic. There is an 18 hole championship golf course at Villeneuve-sur-Lot 30kms from Sevenne. Villeneuve is recognised as one of the best courses in the Lot and Garonne. There is a 9 hole course at Tombeboeuf, 10kms away. Chateau des Vigiers is a 27 hole international golf course situated about 35kms away.